Overnight Protein Powder can be made with water or milk and makes a fantastic pre-bedtime shake. Containing slow-release proteins that gradually release protein while you sleep, Overnight Protein will help your body rebuild and adapt through the night so you can be ready to go again the next day. 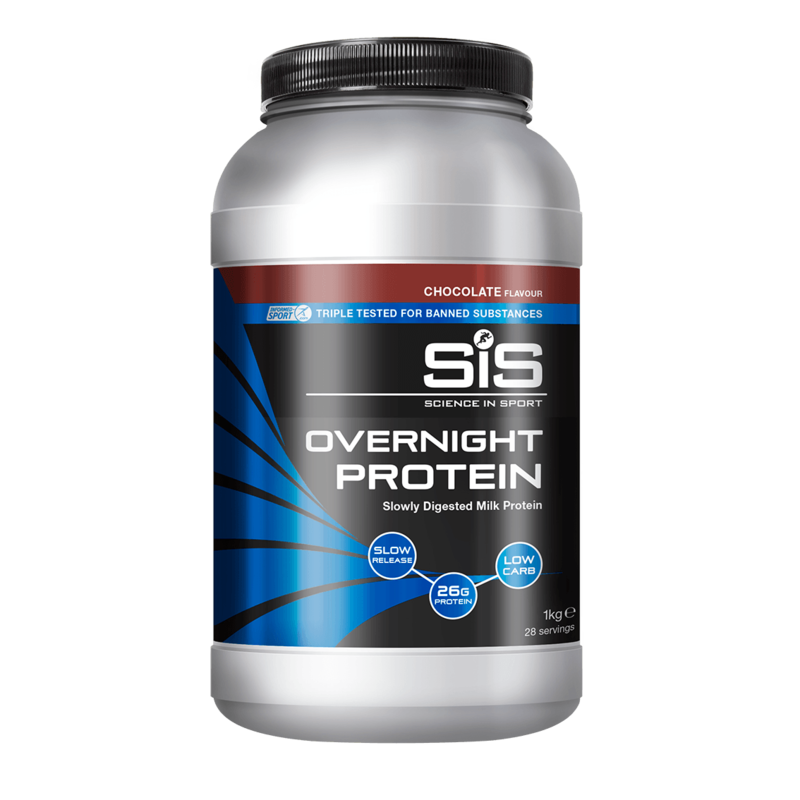 SiS Overnight protein contains milk protein, which is made from 80% casein and 20% whey. This is slowly released helping to maximise training adaptations and reduce muscle breakdown over night, without unwanted calories from carbohydrate and fat. SiS Overnight Protein contains 26-27g of milk protein (depending on flavour). SiS Overnight Protein should be taken 45-60 minutes before bed. Can be served hot or cold.Add 35g of SiS Overnight Protein to 250ml of water in a protein shaker bottle using the scoop provided. Shake well ensuring the lid is firmly closed. Consume cold or transfer into a cup and then heat in a microwave. Drink one hour before going to bed.